Dr. Paraskevi Karachle is a researcher in the field of Fishery Science, a broad field spanning topics such as fish biology, feeding ecology and ecomorphology. We talk about the implications of what do fish eat, why they eat it and how they adapt. Furthermore, Dr. Karachle’s research is related to the management of aquatic resources and fisheries, feeding ecology and diet, and how fish interact with each other and other aquatic organisms. The applications and the repercussions of the this research spans a wide area from ecosystem preservation and sustainability to commercial applications. We then talk about Maritime Spatial Planning, the regional/geological mapping and planning of the sea, an activity with huge impact on several applications which involve the use of sea ecosystem resources and capabilities – from touristic enterprises and fishing to offshore wind-farms. Finally we discuss Dr. Karachle’s work on stakeholder management and involvement in fishery science and specifically about the “Citizen Scientist” initiative – an activity aiming to outreach to and leverage the involvement of every non-scientist stakeholder in order to rapidly expand the knowledge- and information- base in the field. Interviewed by George Voulgaris for Tech Talks Central. 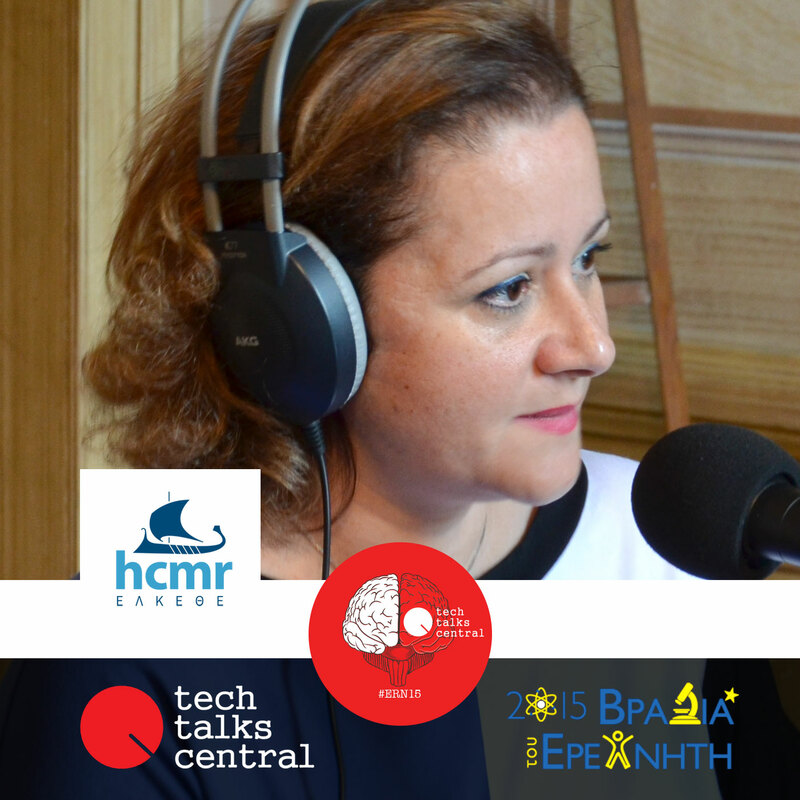 Dr Paraskevi Karachle is a Researcher at the Institute of Marine Biological Resources and Inland Waters, Hellenic Center for Marine Research. She holds a BSc in Biology, School of Biology, an MSc in Hydrobiology-Aquaculture, School of Biology, and a PhD in the Department of Zoology, School of Biology, all from Aristotle University of Thessaloniki. She has attended special training courses on static fishing gear selectivity (1999), and Scratchpads biodiversity online: social networking tool to build, share and publish biodiversity information (2012). During 8/2010-8/2012, she has served as a scientific consultant of the “Panhellenic Union of Middle Range Fisheries Shipowners (PEPMA)”, and since February 2013 she has held a position as a research associate at the Hellenic Centre for Marine Research. She has research interests on fish systematics and distribution, alien fish species, fish biology and ecomorphology, feeding ecology of fish. She has participated in one national and 7 international projects. She is a member of the editorial board of the following scientific journals: Acta Ichthyologica et Piscatoria, and Mediterranean Marine Science. She is also an official collaborator of FishBase (the largest electronic database on fishes), since 1999, and a member of the Greek group of FishBase consortium (since September 2004). She has contributed 12 papers in peer-reviewed journals, 2 book chapters, one book, as well 38 other publications (i.e., conference proceedings, special publications, newspaper and magazine articles) and co-authored 5 technical reports.